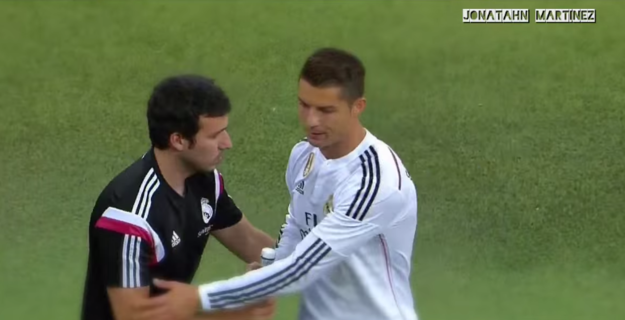 On Sunday, Real Madrid played Getafe CF, in which Cristiano Ronaldo, after scoring a hat-trick, was substituted out in the second half. 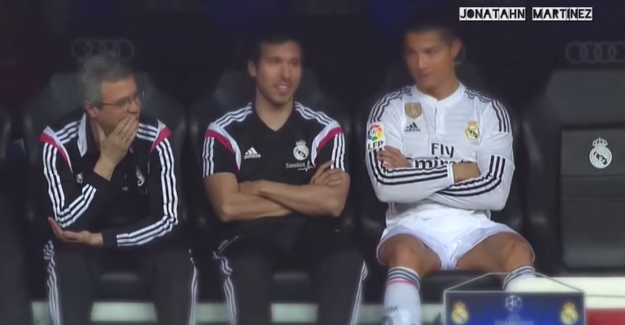 While sitting on the bench, Ronaldo noticed that some fans were screaming out near the dugout. 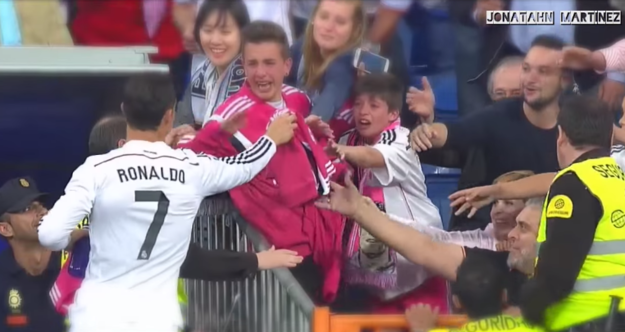 Ronaldo then decided to get up and hand out jerseys to all his fans.